Tickle Creative builds a mixed-use development of shops, restaurants, and village-green style outdoor spaces on the iconic former home to Judge Roy Beans. With homage to its roots as a place to build up and bring friends together, Judges Square will include amenities taking shoppers, diners, and neighbors throughout their day. Above it all, a limited offering of residential flats for those who prefer to call this unique experience home. 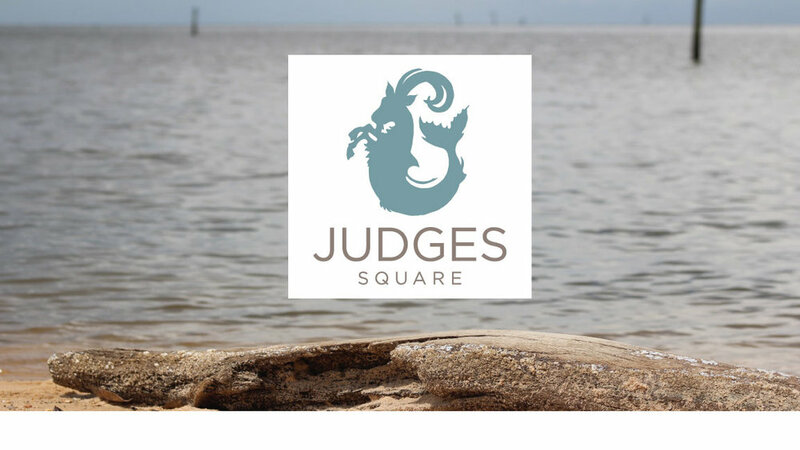 Luxury and convenience are a way of life for the select residents of Judges Square. Unparalleled design nestled in the heart of the Eastern Shore. Amenities such as dedicated-covered parking, stair free living, and common greenspace for community events and celebrations…all just below your fabulous flat. The pace of life slows naturally here. Open your balcony doors to breath in the bay air; if it beckons, enjoy a short walk to the beach for a restorative sunset. The inspired design of each residence embraces relaxed, maintenance free living that trades everyday stress for wellness of mind and body. We see Judges Square as a canvas. A collection of shops will offer a variety of conveniences to carry those who dwell or visit through the day. Boutique retail and eateries combine with a fitness studio, green gathering spaces and pathways to support a spirit of fresh connection with the entire community. Interested in your business joining a well-appointed vibrant community center?